In the 2013 movie “The Secret Life of Walter Mitty”, the title character’s main crush tells Walter that the secret to writing mystery novels is to figure out the ending first, then work backwards and scatter clues throughout the story. A lot of articles counsel that we do the same with our lives: figure out how we want our eulogy to read and then live our life towards that ending. For some people, that advice translates to identifying a profession or a calling and then making it happen. But is it a profession specifically that we should be pursuing? Many professions that exist today weren’t even a gleam in anyone’s eye 20 years ago. Who knows what professions will be popular 20 years from now. The danger with defining your life by a profession is that it limits you to the possibilities as yet imagined. Let’s face it. Many of us still don’t know what we want to be when we grow up even years after leaving school, and even fewer of us live our lives the Merriam-Webster way. So if it’s not a specific profession that we should be pursuing, then, or if we have not felt the “strong inner impulse toward a particular course of action”, how do we live our lives towards the eulogy we envision for ourselves? Sometimes the answer to that question is found by paying attention to what is happening around us. There was a period in my life, some years back, when three different people told me over the course of a couple months that I had (unwittingly) inspired each of them to do something better in their lives. After the third time I heard that, I thought to myself, “maybe my purpose in life is to inspire others to achieve their best potential.” Now, that hasn’t necessarily resulted in a specific career for me, nor am I certain that the revelation was due to divine influence, but the idea of this purpose in my life has informed many of the things I do, or how I do them. Whether we know it or not, we all serve a purpose for one another and for this world. We are brought into people’s lives for a reason. It may be to inspire others to reach their best potential; it may be to help someone through a challenging period; it may be to teach someone something they wouldn’t otherwise discover on their own. Sometimes the purpose does not reveal itself for years, if at all. 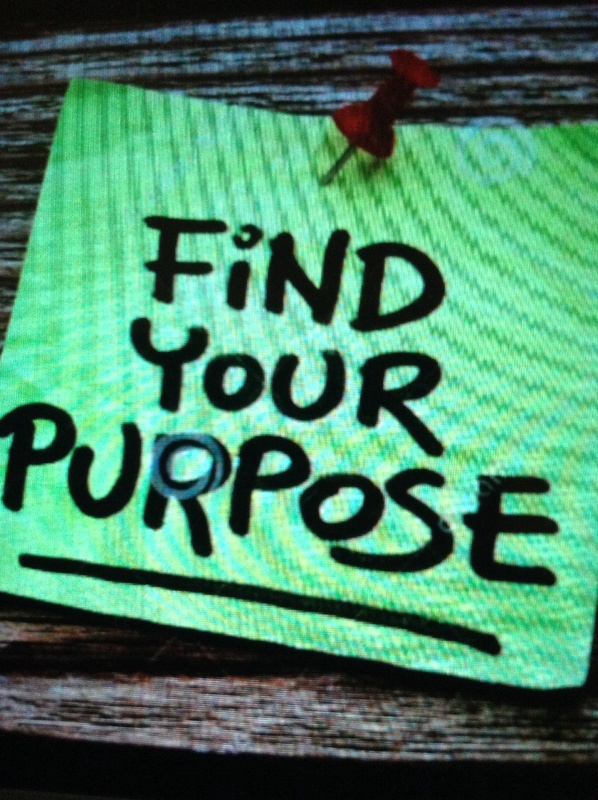 We may never know exactly what purpose we serve for another, but you can be certain that you have one. How can you help yourself discover what that is? 1. With every interaction you have, including with strangers, ask yourself, “What is this person getting out if this?” What the other is getting out of the interaction is your purpose at that moment. 2. Pay attention to recurring themes that come up when people talk to you . Do people describe you often as “helpful ” or “connecting” or ” funny”? Maybe your purpose in a broader sense is described in these themes. 3. Acknowledge that your purpose will change frequently depending on the circumstances you are in. Your life does not have just one purpose, but many. Rather than spend your time in pursuit of a profession, a calling, or an answer to “what do I want to be when I grow up”, live your life with deliberate acknowledgement in the moment so that, at the end of your life, your eulogy will read “She lived her life with purpose.” Unless you’re male. In which case, having a eulogy that refers to “she” will just confuse people. And I don’t know the purpose in that.